Gentian, one of the “bitter” herbs, has been used by herbalists for over 2,000 years to help stimulate liver function. It was named as a tribute to Gentius, an Illyrian king who was believed to have discovered that the herb had tonic properties. He used the herb for treating wounds and as a natural antidote for various types of poisons. Traditional folk healers believed that gentian root could improve the digestive process by stimulating the flow of saliva, bile, and stomach acids if you took the herb before your meal. During the Middle Ages, it was used as an antidote to certain poisons. Today, it is used specifically to protect the liver, stimulate its function, help regenerate its cells, and increase the flow of bile. It is also known to inhibit the development of viruses that affect the liver. This should come as no surprise to herbalists as studies have shown that gentian has antibacterial, antifungal, antitrypanosomal, antiviral, and anti-angiogenic properties. It has also been used for centuries to stimulate appetite, improve overall digestion, and treat a host of gastrointestinal issues such as diarrhea, heartburn, stomach aches, and vomiting. And studies have shown that it is liver protective. This is why you’ll find it as an ingredient in Jon Barron’s Liver Tincture formula. Genetian is also helpful in improving the overall health of the kidneys. It helps with the detoxification process by aiding in the elimination of harmful substances from the body. The root itself also has antiseptic properties which help with the removal of harmful microorganisms that can be found in the digestive system. In fact, the herb has even been used to help eliminate parasitic worms in the intestines. The herb isn’t only considered helpful for digestive and liver issues either. According to the University of Maryland Medical Center, gentian is often used in Europe to treat anemia by stimulating the digestive system to more easily absorb iron and other nutrients. According to A. Kusar's article in "Human and Experimental Toxology," gentian root also contains substantial antioxidant properties that can help your body fight off scavenging free radicals. In addition, the root has been used to speed up illness recovery time because of its ability to increase energy levels and help activate the function of many of the body’s systems. The root is used to help treat cold and fever and provide sore throat relief. It can also be used to treat muscle spasms, headaches, convulsions and delirium. In traditional herbal medicine, it is used to treat physical and mental exhaustion. If you have issues with poor circulation, this herb may be helpful for you as well, as it can invigorate the blood and improve circulation to all parts of the body. It is also used to help with fatigue issues, with some people reporting that they feel less sluggish after use. Overall, gentian purifies and is said to strengthen the entire human system. Interestingly enough, gentian isn’t only a medicinal herb. You can find it in some foods and beverages, in some anti-smoking products, and also as an ingredient in cosmetics. Gentian root supplements can be found in tea, extract, tincture, and powder forms. However, it’s important to note that gentian is a "medicinal" herb and should not be used for longer than three weeks at a time, as it will eventually over-stimulate the body. A rest of two weeks is enough before it can be used again. 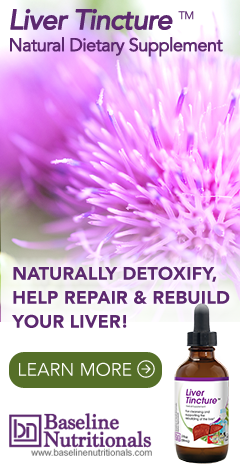 Learn more about how to do a liver detox and blood cleanse, here. Wonderful product. I was able to buy dry gentian root from my herbal supplies. Now I can only procure extract of Gentian. I would like to enquire of the availability of the root dry and where and costing. Hi Rod...just wanted to let you know that I purchased organic dry Gentian Root last week via Amazon. The manufacturer is Starwest Botanicals, and the cost was $13.33 US for 4 ounces. Hope this helps! Althughw she is gone, I,m a follower of this research doctor who left us about 10 yrs. ago. She proved that Cancer was caused by paracites and flukes; Gentian and other herbals were used to eliminate flukes and parasites from the body; by doing this she was able to cure cancer. The Medical establishment Blackballed her as a quack as they didn,t want her to upsett their apple cart (profits). Modern medicine is now verifying her research as being right on. She should have been awarded the Nobel for medicine, but politics didn,t want a cure. You are treading in dangerous waters. these are rich and powerful people that you're complaining about. they have mansions,yachts and big money bags. and they know how to use that money to shut big month people up,so you better shut your pie hole or else you know what may happen. I used to work for an old-fashioned gynecologist from the Netherlands who, if a woman had a bad yeast infection (thrush) where regular anti-fungal cream applicators didn't work, would paint gentian tincture on the area and it worked amazingly. It would be interesting to investigate whether gentian take orally also helps arrest candida. How did this king discover gentian root?did he test it on himself or he had Guinea pigs(people) that they(the herbal botanist) tested it on. and if it killed them,so what they have more worthless peasants that they can spare. and that my friend is how kings treated their loyal followers. I had abdomen cancer and had chemotherphy last year 2016. This year I am on maintainace for two years and is on antibodies till 2018. Can I use gentian. Please advice. For obvious legal reasons, we cannot diagnose or prescribe for specific medical conditions—merely provide information. You will need to talk with your doctor for a specific recommendation on gentian. I've taken gentian when I stumbled upon an obscure product in the supermarket that was 45% alcohol! Gentian is the active ingredient. I take it in water and I've found that I have more buoyancy, bounce, get up and go---without the drug-like stimulation effects of caffeine. Highly recommend this for the sluggish. You can find it in Moxie Soda as well. Is the Gentian recommended for this ailment ? I purchased this gentian from a health food store in Omaha in 2017, and have been takeing it every day. My weight has decreased I was obese, and diabetic taking shots 3xa day. In January of 2018, without talking to my doctor and family I got great reports on my overall health . I no longer take shots ,my AC1 is below 5, and no stomach bloating . I don't know about other people who take this, but I stated slow with extract form. I carry it in my purse a drop or two and I am good. Thanks you for listening to me ☺️.